You've heard it before, but you can never hear it enough: Plan to pack according to the weather. 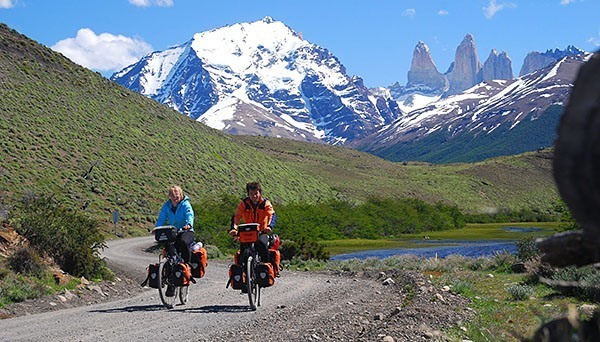 A three-day biking tour through dry terrain will differ greatly in regards of what you need to pack from a pedal through rainforest-lined blacktop. Also, while you do have those panniers to carry your load, it's better to aim for the less-is-more approach. 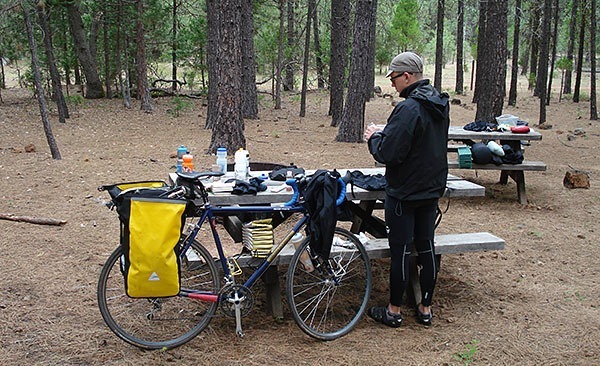 Packing less will increase your balancing ability, reduce weight drag, and give you spare room for that fantastic souvenir that you encounter during your bike tour, especially if you're weaving into small towns while touring. For the heavily-laden, also consider one of the new towing trailers that you can attach to your bike; there are some that can handle most singletrack routes, though you'll be going slowly. Last updated by jack on 01 January, 2015 in Travel Tips. Ohh,Ohh, what a waste of time. Are folks so stupid that they don't know how or what to pack for a trip. This reminds me of those 1930's Popular Mechanics Camping books. You really have to be kidding. Anyone who thinks this is informative is a moron. You're right, shaving oil is fantastic. I actually use King of Shaves shaving oil and then their gel on top. Got pretty tough stubble but that keeps things gliding along well. I've also seen shaving oil in some tiny spray bottles for pretty cheap, but haven't yet tried them, could be even more economical because application is more controlled. Great list. One space saving toiletry item that I just discovered is shaving oil by Pacific Shaving Company (I'm not affiliated with them, just a cool product). A little half ounce bottle can give you 100 shaves -- and is much smaller to pack than shaving cream. Everything but the kitchen sink! The old adage of 'packing lightly' simply cannot apply when adventuring via this method and for a period of time more than a day or two. Excellent list that I'm sure some fortunate cyclist will find incredibly invaluable! Also bring a small first aid kit with you. You can get one at a local grocery store for about 6 bucks, and it has a few gauze patches, bandages (of course), disinfectant, and other things. I have made packing mistakes many times. Now like you i make a list and then strike out as i add items to my bag. Your list is exhaustive and very helpful.